Mini pom-pom cake topper, try saying that five times fast. 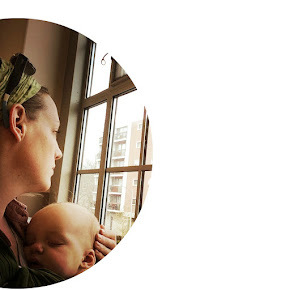 So even though Oliver's third (eek!) birthday is not until early December I have already started compiling some ideas for a simple, yet festive party for my bug. 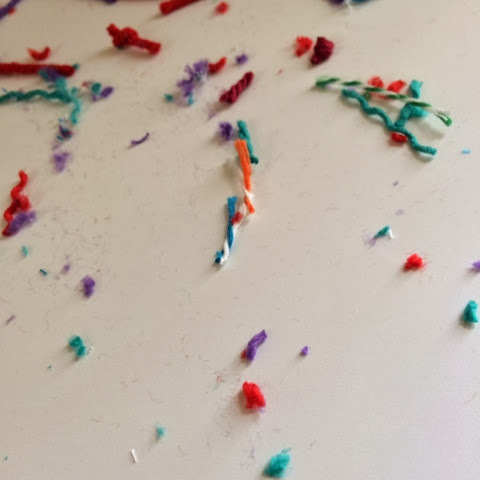 I love the cake toppers with little flags and streamers and whatnot so i decided to try my hand at making the cutest little pom-poms to add a bit of pop to what will likely be a lopsided, simple cake. 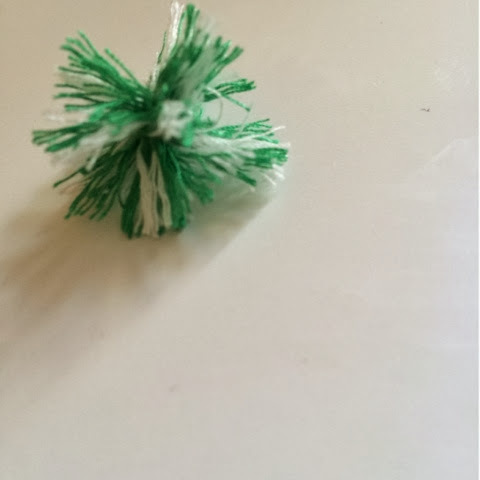 So here is how you make mini pom-poms. 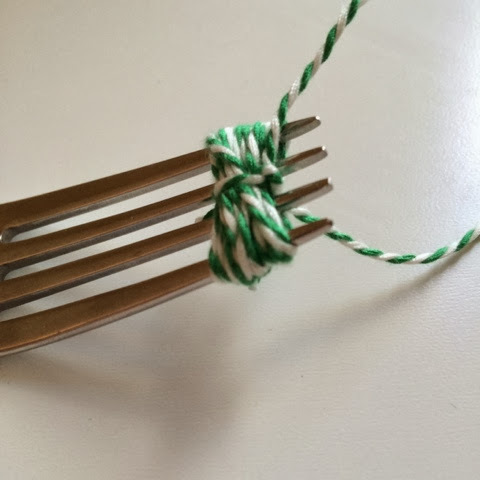 You can use baker's twine or yarn. I got mine at Target. 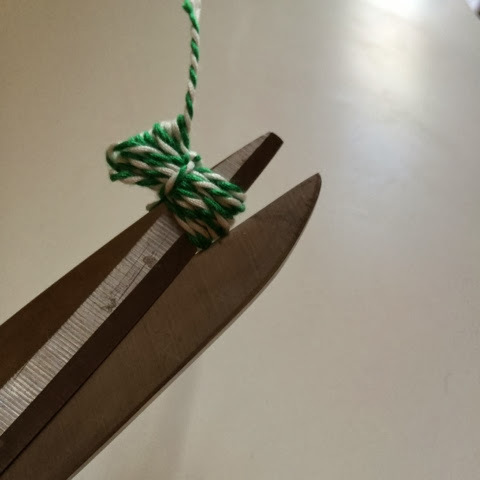 Wrap the twine around the tines of the fork 5 or 6 times. Not too many times or it will not stay all together. Snip a small piece and tie it around the center, making sure it is tight. 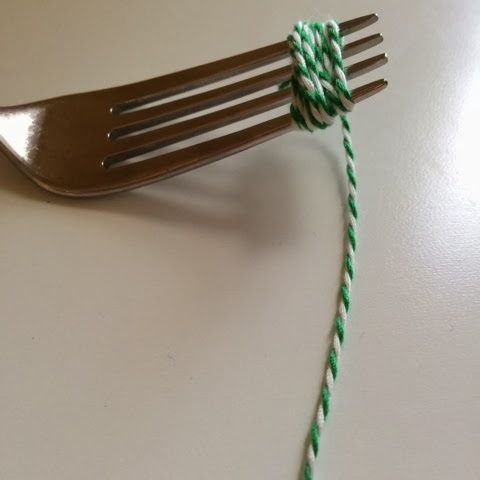 Slide the yarn off of the fork and snip the the sides. Then fluff the pieces until they separate. Give your cute little pom-pom a haircut until it takes the desired shape. 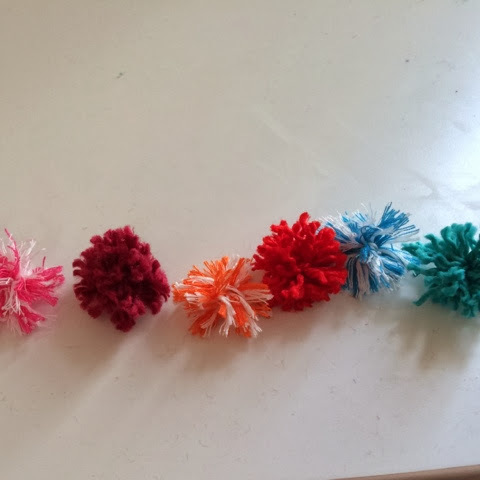 Repeat the process until you have a bunch of adorable little pom-poms! 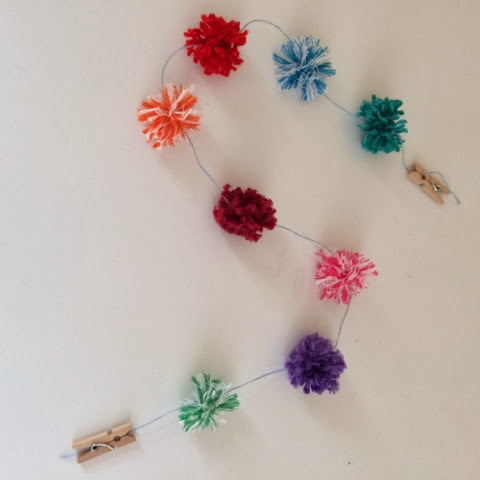 Thread the pom-poms on some and voila! You are on your way to having a cake topper. 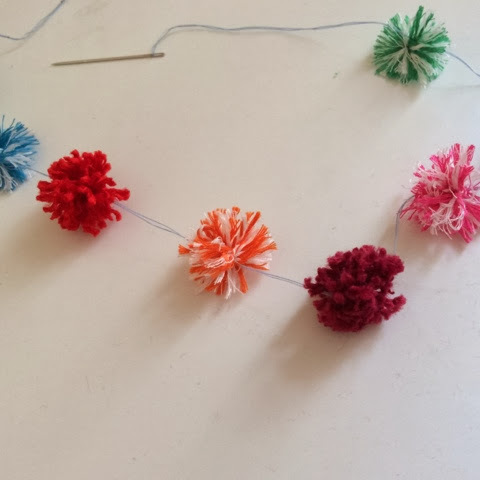 I am making a short string because it is going to be a cake topper but you could easily make a whole mess of pom-poms and string them into a garland. 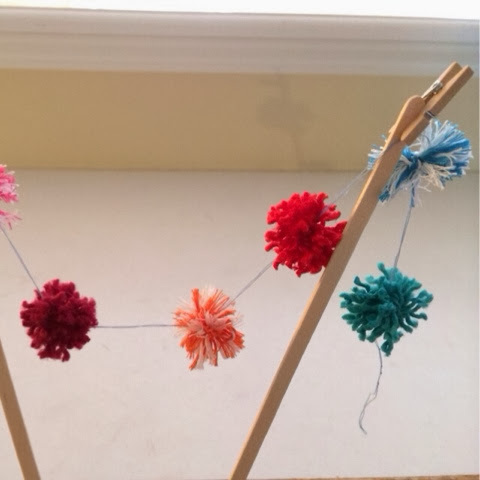 I had these amazing micro laundry pegs to complete the cake topper! 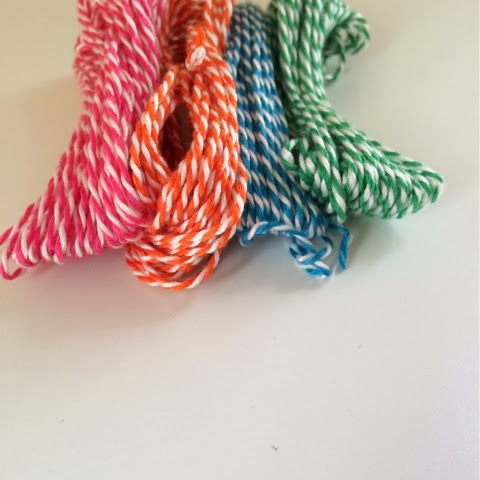 This was a easy, quick craft that can be tailored to any color theme.